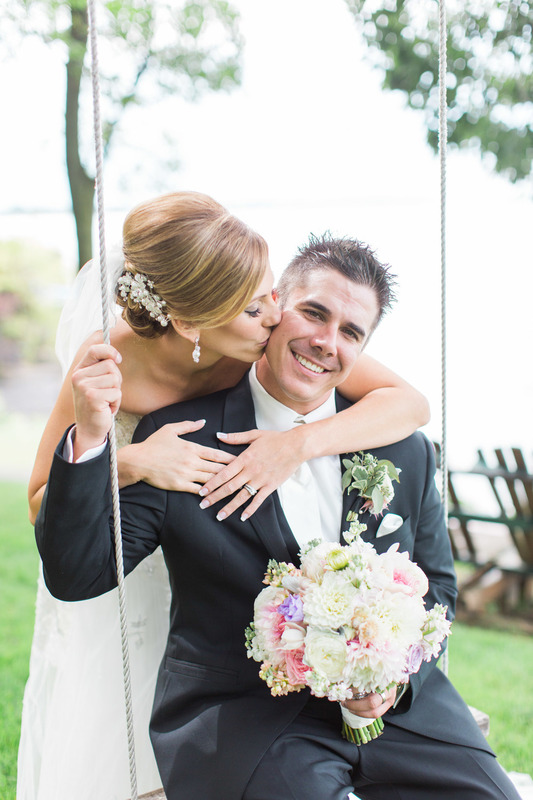 Laura & Todd were such a pleasure to work with and left a lasting impression of TRUE LOVE!! These two were soul mates from the beginning and I had greatest time attending their wedding and being there to witness their unforgettable day!! 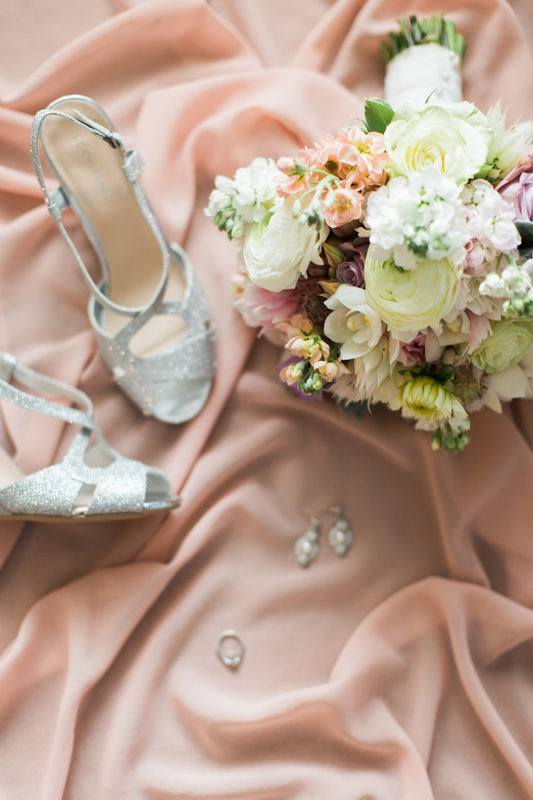 Florals were everywhere, everywhere, everywhere....which made me so very happy! Liuna Gardens has a beautiful, lush and very long aisle for a bride to make quite the entrance. Lanterns hanging from preachers hooks filled with wax flower & babies breath and two large arrangements adorned the wedding aisle, which then decorated the cocktail tables. 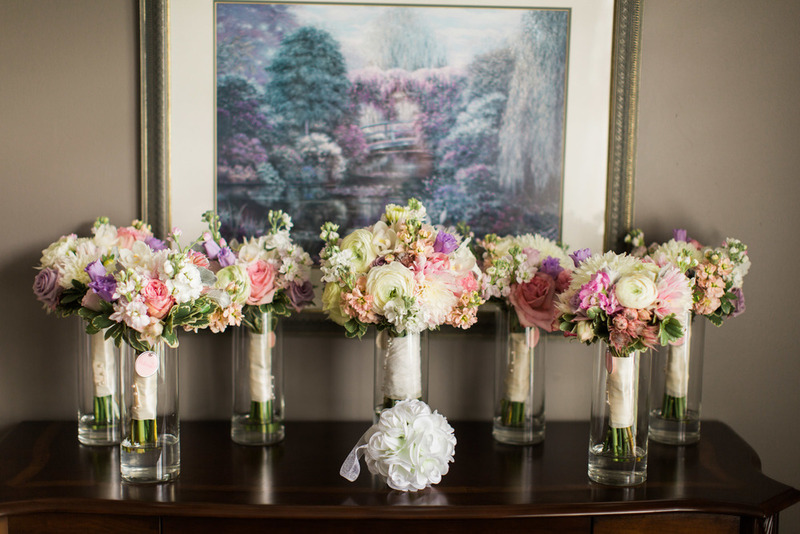 Half of the tables had tall candelabras with two smaller vases filled with flowers, with a large square vase spilling with roses, hydrangea, stock, mums, queen anne's lace, and seeded euc decorating the other half. 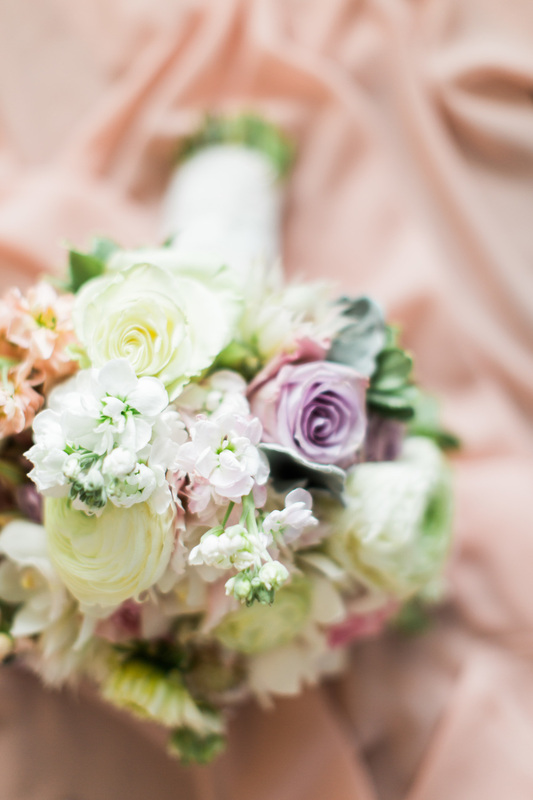 The bouquets were of an elegant, romantic style of roses, ranunculus, lizzy, blushing bride, cymbidium orchids and a touch of greens in blush, ivory, white & lilac tones!! 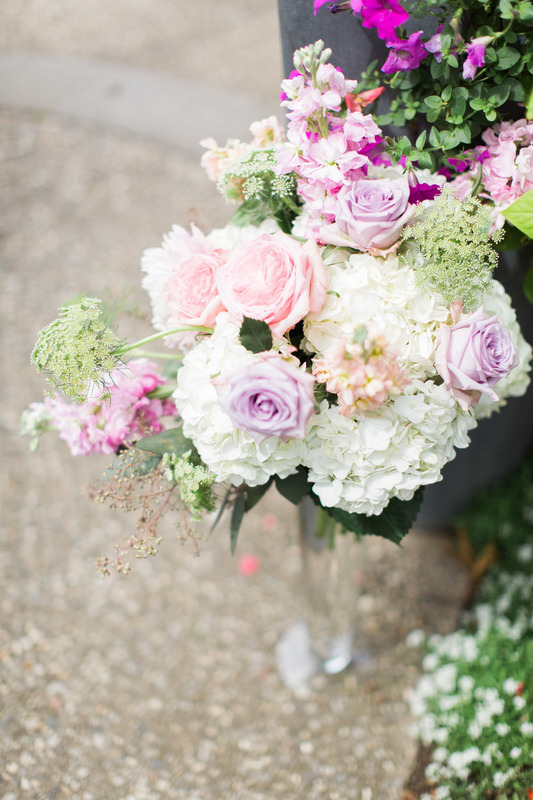 This beyond beautiful photography was captured by Miranda Wendland Photography.